This Childguard pool fence has a lightweight design and simple installation process—the perfect safety feature for your backyard pool area. 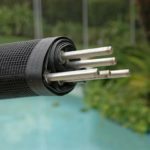 This safety pool fence by ChildGuard is the perfect removable safeguard to keep kids out of the pool area when necessary. It comes either four or five feet high in two different colors. You can also pick six feet or 12 feet length sections. 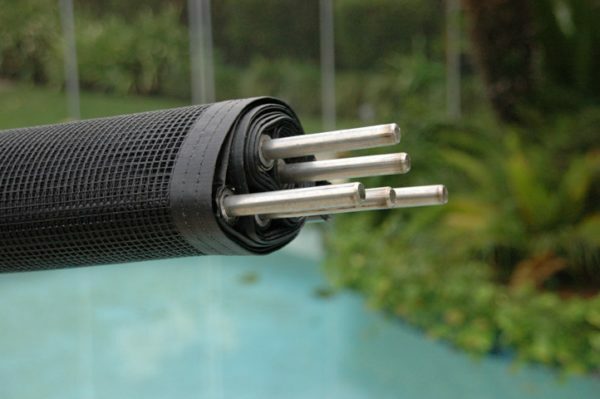 This pool fence is easy to put up and take down quickly. All sections are lightweight and can be condensed to a role for easy and convenient storage when the fence is put away. Adults can easily access the fence with a simple gate and latching system with an optional locking gate.